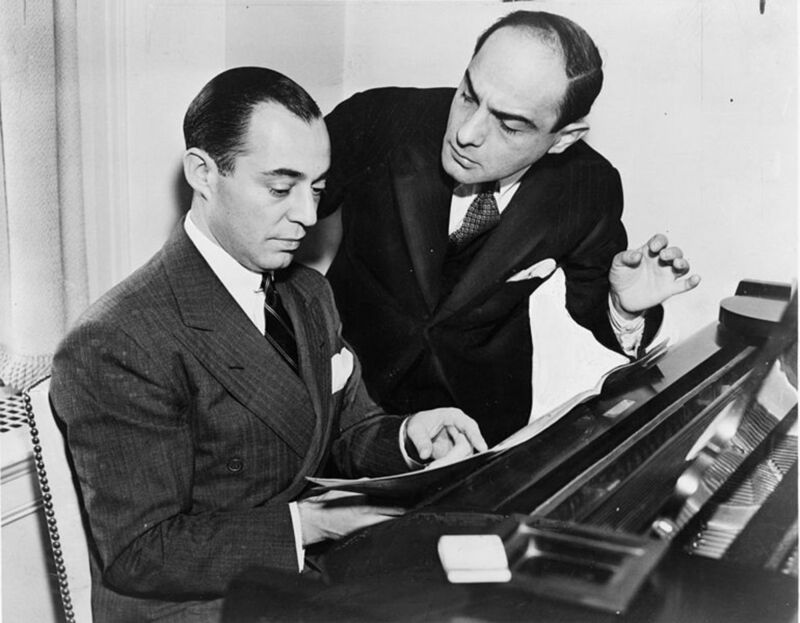 In beginners piano lesson five we’re going to play a traditional song called Beautiful Brown Eyes. Click on the link to see, hear, and print it off if you want to. When you’ve been through the lesson you can also play along with the video. Okay, so the piece looks easy enough on the face of it. But don’t be fooled: it's full of complexities. Piano Playing in 3/4 Time! For instance, you'll notice there are only 3 beats in every bar. That means you have to count 1-2-3 as you play, rather than 1-2-3-4. Plus, although both hands are playing together using the same rhythm, they're playing in different hand positions. And that means they're going to have to be fairly independent of each other. Let’s take each of the hand positions separately to get you set up just right. The easiest way to learn this song is to practice hands separately. The right hand plays in the middle C position, so that's something you should be familiar with. And you might find it helpful to work on this first. 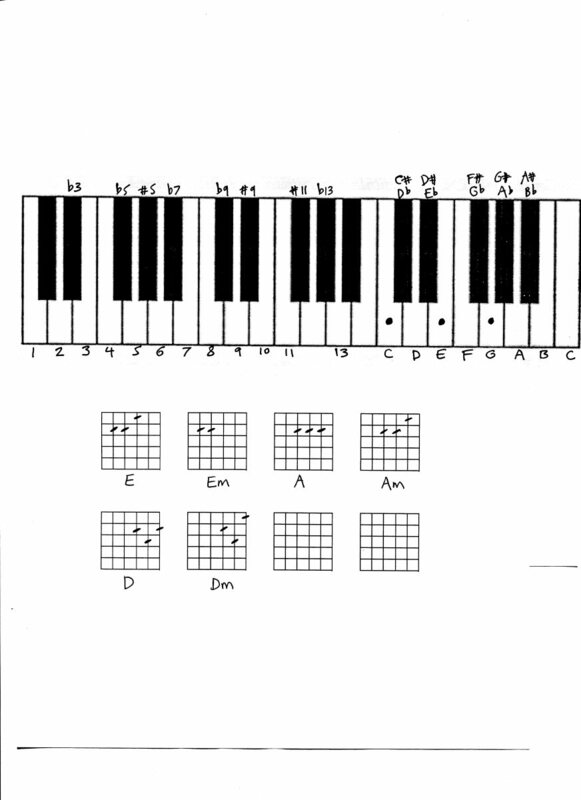 Place the thumb of your right hand on middle C as in the picture below, and play the five notes from C to G.
Good work. 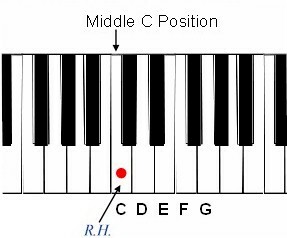 Now you'll notice that the left hand is playing in a different hand position, starting on the D below middle C. You can find it easily by moving down to the C below middle C, and then moving your hand up one note. 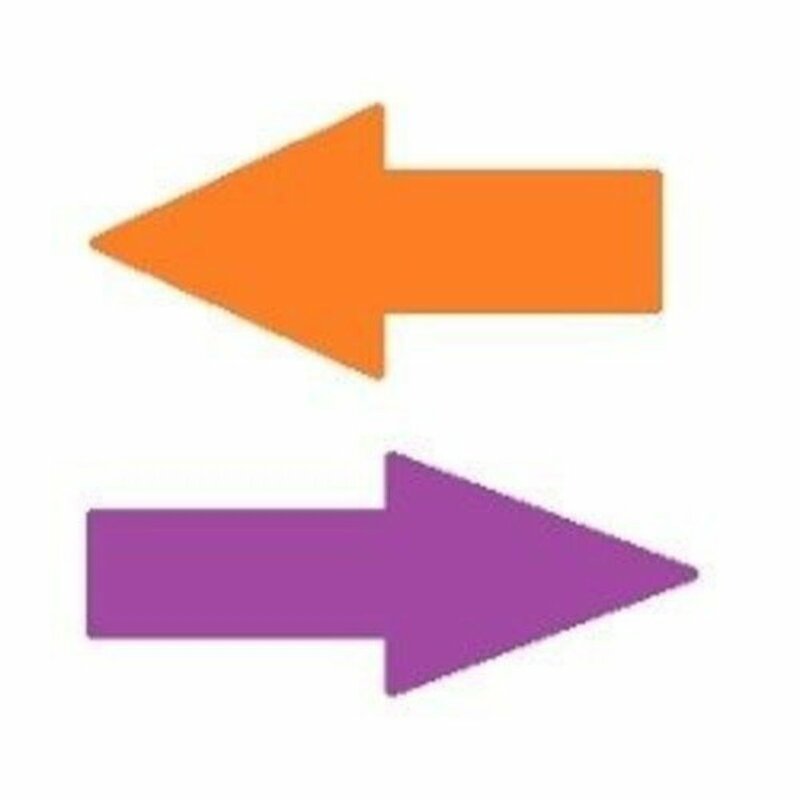 Here’s a picture of where the D position is on your keyboard. 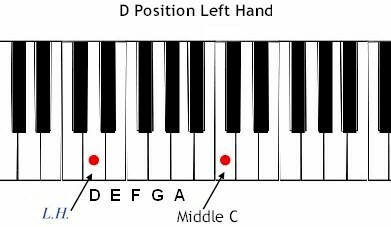 Place your left hand little finger on the D below middle C and play the five notes one after the other. Well done. Obviously your two hands need to work together to play this song well. And even though they're playing the same rhythm, they're not using the same fingers at the same time. So you’ll probably need to work on one hand first, and then the other, going slowly until you get the hang of it. 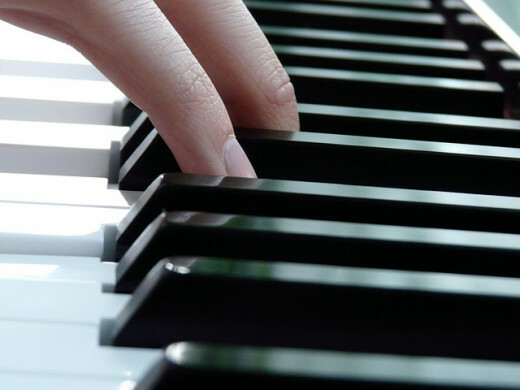 Whenever pianists are learning a new technique or a particularly difficult piece, they often work on one or two bars at a time. You might find it beneficial to do that once you feel comfortable playing with both hands together. Having stressed how tricky this piece can be, there are some easier portions. The last two bars on the end of the first line you should find simple enough. 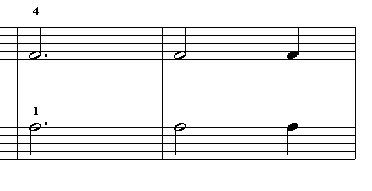 They contain just two dotted half notes, one in each hand. And don’t forget that the finger numbers will guide you most of the way. 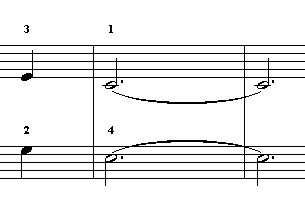 The same thing happens on the second line of the score. But this time the notes change for each bar, so you have to concentrate a bit harder. Once you get to the third line, the music is basically a repeat of the first line. 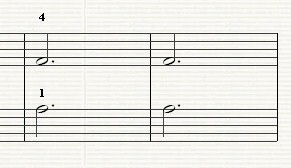 The only difference is the rhythm at the end -- now there's a half note (two beats) and a quarter note (one beat) in the last bar (see picture below). It looks easy enough, doesn’t it? But you'd be surprised how many people get the rhythm wrong on this. Make sure the half note is longer than the quarter note, as it should be. Practice it over and over counting 1-2-3 out loud until it’s burned into your brain. And that leads us to the last line of music. There are a couple of things you need to watch out for in this section of the piece. 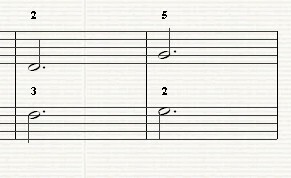 First of all, you'll notice that the notes move around a bit more within each bar. Once you've got each of the hands sorted, try putting them together one bar at a time. 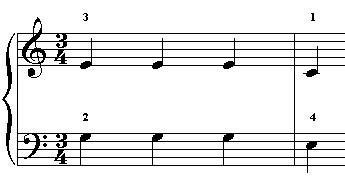 Second, there's a long note at the end made up of two tied dotted half notes totalling six beats (as in the picture below). The tie is indicated by the curved line, so make sure you don't play two separate notes. Just play the first note (C in the right hand, E in the left) and hold it down for 6 full beats. That's all there is to it! Take your time, practice slowly and work on one hand at a time. And don’t forget that you can see, hear and print the score for this song by clicking on this link. You might need to download the scorch plugin first, but it only takes a minute. You can also listen to an orchestrated version of the song by watching the video at the top of this hub. 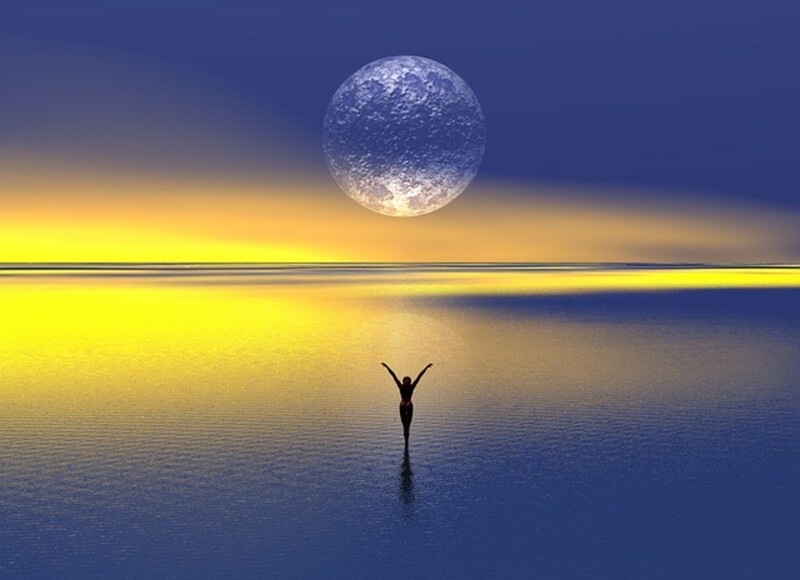 Remember: it doesn't matter how long it takes to learn the whole song, as long as you feel comfortable playing it. Good luck, keep practicing, and I’ll see you in the next lesson!